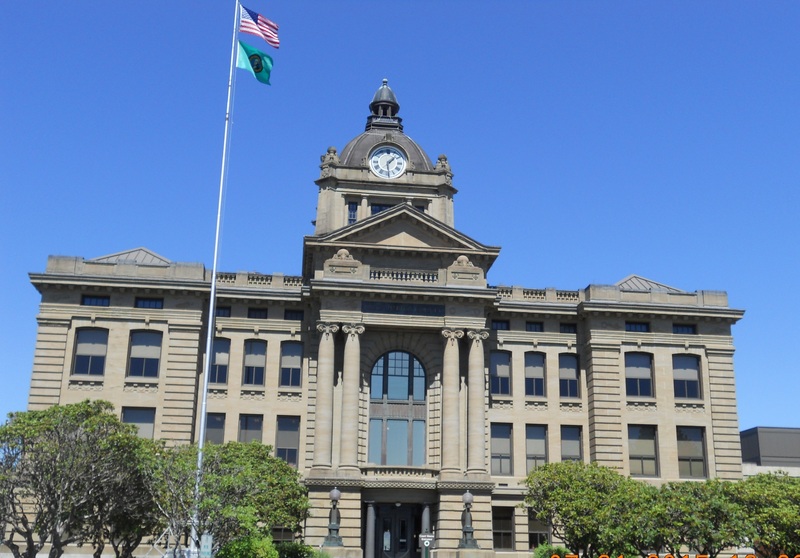 The Grays Harbor County Courthouse located in Montesano is considered one of the most beautiful in the state. 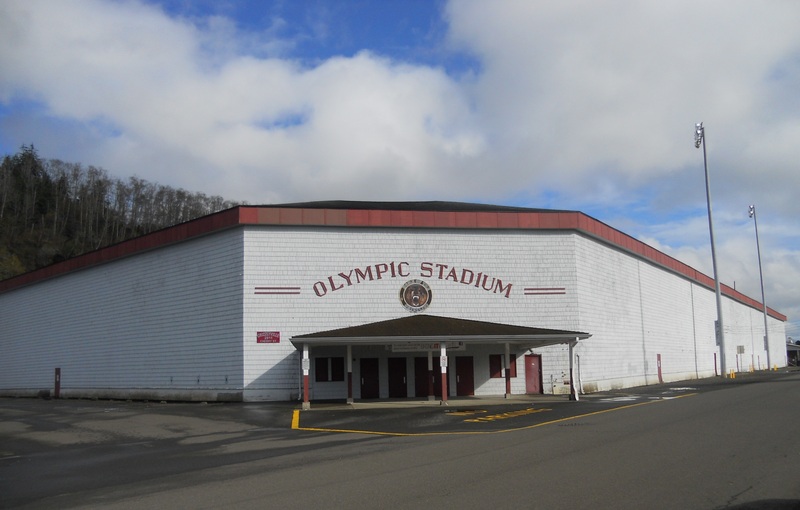 But Hoquiam’s not alone in storied sites. 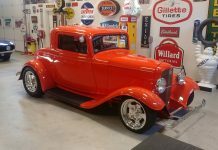 Here’s a quick listing of what you might “hear” from some of the county’s most interesting “silent witnesses.” Several are listed on the National Register of Historic Places. Listen close! 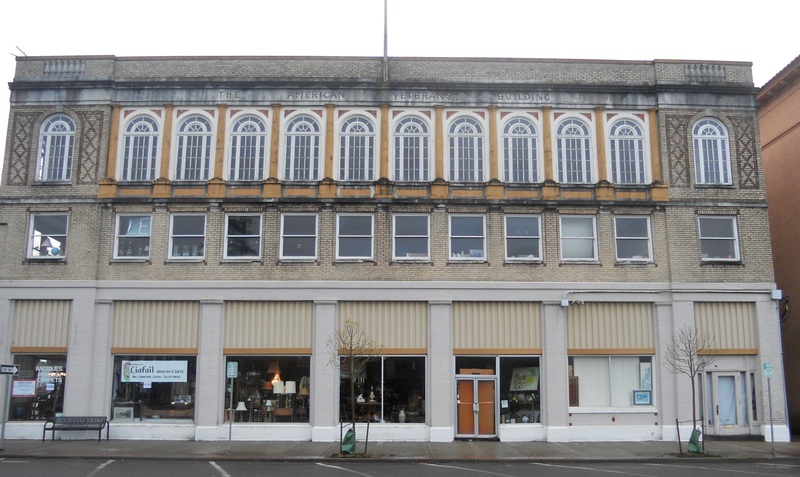 Built in 1920 just after World War I, this multi-story structure in the heart of downtown Hoquiam is regarded as the first building of its kind built in memoriam of and in service to United States Veterans. It was open for their use 24 hours a day until its closure in the 1970s. 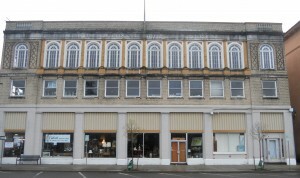 The American Veterans Building in Hoquiam was one of the first built in memoriam of and in service to U.S. veterans. Financed through the contributions of individuals, the structure was built as a mixed-use building. The Lumberman’s Bank was situated on the ground floor to provide a tenant income stream. An eclectic blend of history, architecture and art, this building was known as the Chehalis County Courthouse when its original cornerstone was laid in the spring of 1909. 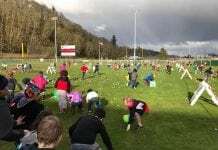 The groundbreaking ceremony was a momentous occasion, complete with live music from the Montesano High School band. 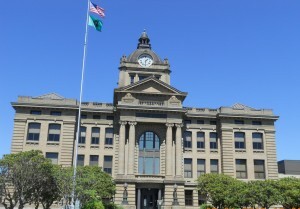 The courthouse hosted several headline-grabbing trials including the 1910 murder trial of the infamous Billy Gohl, the “Centralia Massacre” case of 1920, and the case of Italian-born Guido Grassi, who heard himself sentenced to hang twice, once in 1924 and again in 1958. Located on the southern side of the harbor, the lighthouse marks the entrance to one of Washington’s few outer-coast harbors. Construction began on this 107-foot lighthouse in 1897. It was first lit in 1898. The Coast Guard automated the light in the late 1960s. This lighthouse is the tallest lighthouse in Washington and the third tallest on the West Coast. The architectural style is Late Victorian Italianate. Located at 1600 North Nyhus Street in Westport, the current Coast Guard Station Grays Harbor was built in 1974, although there has been a Coast Guard station in the area since the mid-1800s. The Station has a memorial dedicated to two crewmen who lost their lives during the night of November 15, 1977 while on a training mission at the National Motor Lifeboat School. Their boat capsized in adverse sea conditions on the Columbia River Bar. 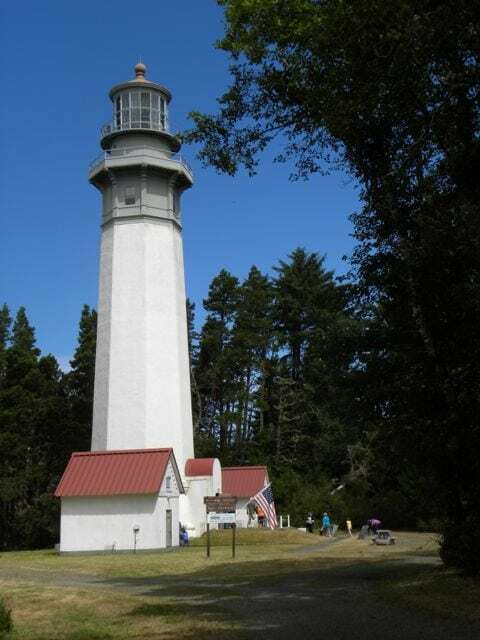 The Grays Harbor Lighthouse, located in Westport,is a popular destination for locals and tourists alike. The 107-foot structure is arguably one of the most photographed attractions in the county. Lighthouse hours (subject to change): Monday: 10:00 a.m. to 4:00 p.m.; Thursday – Sunday: 10:00 a.m. to 4:00 p.m. This building opened on October 1, 1927. Originally named the Graham Theater, it was the only operating theater for miles and served as a venue for mostly live stage shows, with an occasional movie. The theater had more live bookings than any other theater in southwest Washington in its hey day. The building suffered damage from recent earthquakes. It was closed in late 2013. But if you look closely, you can still find evidence of its fine workmanship. The Hoquiam Carnegie Library building, now known as the Hoquiam Timberland Library, was built in 1911. It was one of the first Prairie Style libraries on the West Coast, a rare architectural style for the Northwest. 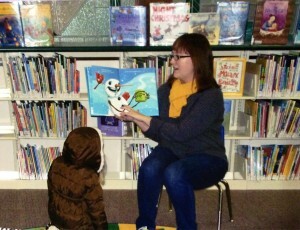 The library is on the national, state and local historic registers. Hoquiam librarian, Sarah Livingston, reads to a child inside the historic building. Tuesday – Thursday: 10:00 a.m. – 7:00 p.m.; Friday – Saturday: 10:00 a.m. – 5:00 p.m.
A seven-story “low rise” building, the Becker Building has been at the heart of Aberdeen history since the 1920s. In the early to mid 20th century, it was a hub for Aberdeen business and commerce, bristling with offices for attorneys, dentists, and realtors. It was also home to the old Hayes & Hayes Bank. The ground floor facing I Street now houses Anne Marie’s Café. Also known as “Spruce Cottage,” this graceful single family dwelling was built in 1908 for lumber baron Neil Cooney. It’s now a bed and breakfast inn featuring five guest suites and four bedrooms. Sources cite the mansion’s location at 802 E. 5th Street, Cosmopolis. Originally built in 1912, this three-story hotel was designed with 27 guest rooms, a lobby, kitchen, dining room, billiard room, writing room, and music room. 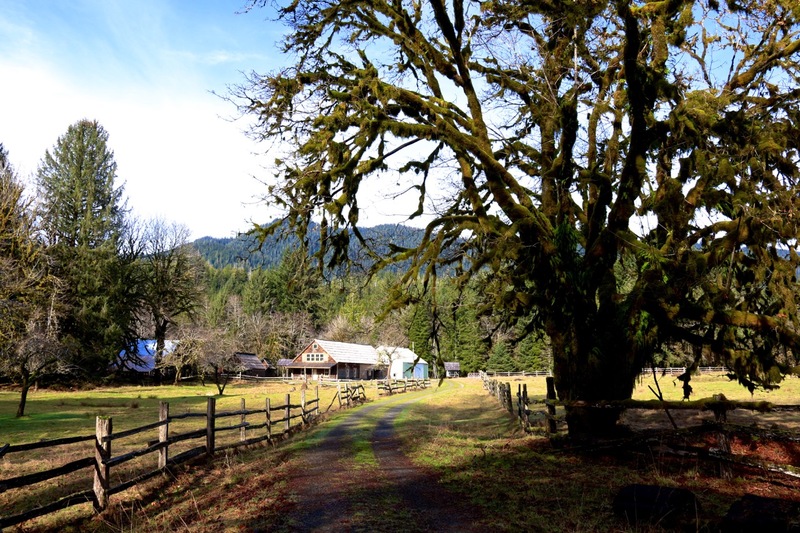 It was built by early Grays Harbor settler and sawmill operator Henry McCleary to showcase his wood products. It is now a restaurant. Olympic Stadium in Hoquiam was built in the 1930s under the Franklin D. Roosevelt work program. The all-wood stadium officially opened to the public on Nov. 24, 1938. An easy, relatively short hike through giant ferns and rain forest of about 1.3 miles introduces visitors to this collection of buildings and pioneer life on the Olympic Peninsula. Aaron (some sources say “Anton”) Kestner established his homestead here in 1889 under the Homestead Act. The site was occupied for decades by the Kestner and Higley families. 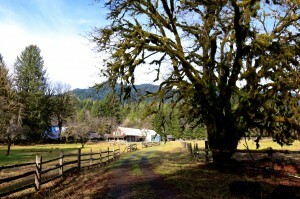 The Kestner Homestead can be viewed after a short hike. Photo credit: Douglas Scott. Quinault River Valley, .5 mi. N of Quinault River Ranger Station, along west side of Kestner Creek. Phone: Quinault Ranger Station (South Shore, more likely to be open than North Shore site): 360-288-2525. From Hoquiam follow US 101 north for 37 miles to Amanda Park. Turn right on the North Shore Road and proceed for about five miles to the Olympic National Park Quinault Rain Forest Ranger Station. The trail starts at the ranger station and is clearly marked. 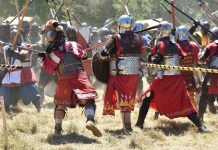 The author wishes to thank John Larson of the Polson Museum for much cheerful assistance in the research of this article.